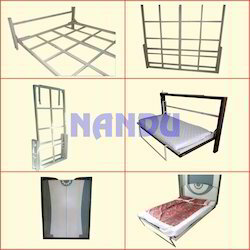 Manufacturer & Supplier of Folding Wall Bed & Folding Wall Bed Mechanism With Framing. Our product range also comprises of Table Chain, Door Chain and Magnetic Catcher. With the support of our dedicated workforce, we have made ourselves as dominant manufacturer and supplier of superior range of Folding Wall Bed Mechanism with Framing. 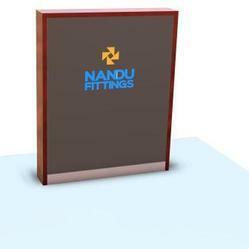 We offer this product in various specifications to meet various requirements of market. Offered product is manufactured using high quality raw material and latest technique under the guidance of skilled professionals. 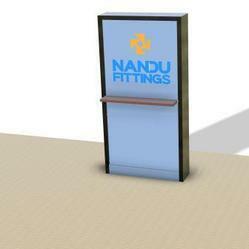 Client can avail this product from us at market leading prices. 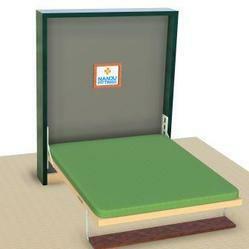 Single wall folding bed mechanism with regular metal leg. 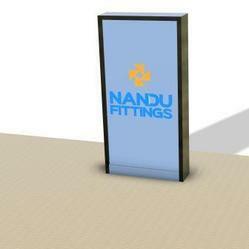 Size customized as per requirement. Double Bed with Regular Metal Leg. Folding Wall Bed Double with Shelf Type leg , giving multi utility as show shelf and leg support to bed when bed is open. Size customized as per required. Stanard Powder Coating Ivory Color.